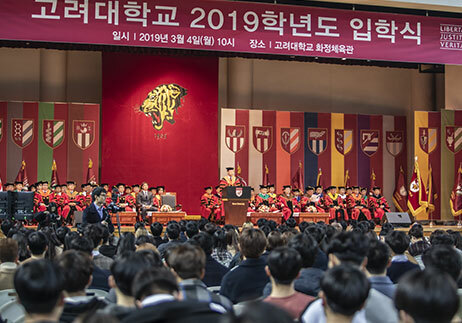 On Monday, March 4th at 10:30 AM, Korea University held its entrance ceremony for the 2019 school year at its Tiger Dome, which was packed with approximately 7,000 students and parents. 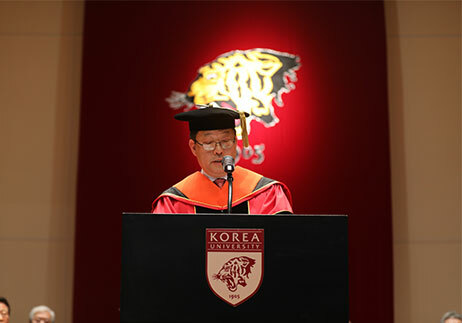 KU President JinTaek Chung started his speech, “How you spend your college years will hugely impact your life afterwards, and as such these years are an important and decisive time. Unlike the basics of being human that we learn in primary and secondary education, higher education holds the goal of raising proper members of society by teaching professional and economic competency and other necessary skills for people to play their role in society. 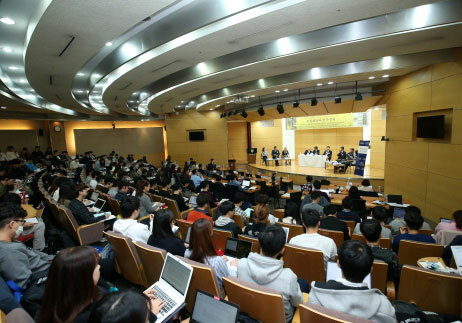 Thus, if your dream is to be active not just in Korea but also in the international community, college is where you’ll receive training to reach that goal. On the one hand, college can be a very liberating place. Unlike in elementary, middle, and high school, in college, you must decide and act on everything autonomously. This freedom is useful in increasing creativity and productivity, but on the other hand, it can also lead to living in overindulgence or infringing on others’ freedom. Therefore, freedom’s value shines brightest when coupled with responsibility.” He continued, “The world is currently caught in a vortex of change that makes it difficult to see what’s ahead. Existing law and order are being uprooted in a literal paradigm shift. 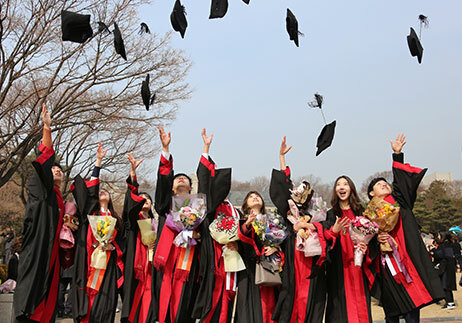 The world no longer guarantees success in life for entering a prestigious university through difficult study and patience as it did in your parents’ generation. To lead the successful life you all want, the title of ’KU student’ is no longer enough.” He also offered the new KU students three points of advice. First, he advised the students to think differently than others, and make different plans from others. In other words, he emphasized raising a one-of-a-kind competitiveness. He warned that while the saying goes, “knowledge is power,” knowledge is not enough on its own anymore, so it is important to use knowledge and handle it well to differentiate oneself from others. For this reason, creativity and innovation are also vital for the individual. He entreated students to not be tied down by prejudices or stereotypes, and to use creative thinking to progress in the direction of truth. Secondly, he recommended an open mind and open thoughts. 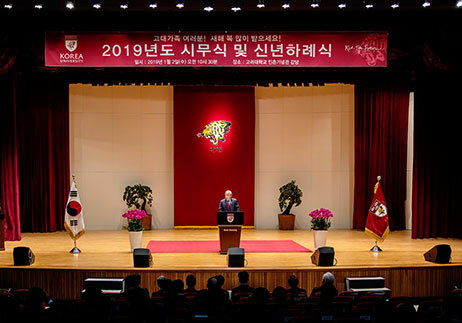 He stated that as the world enters the era of the so-called Fourth Industrial Revolution, integration and convergence will make significant progress when cultivating diverse knowledge that goes beyond academic boundaries and create value that has yet to be discovered. He emphasized that one must be able to work together with people from different backgrounds, with different thoughts and cultures. In order to celebrate the matriculation of new students, TERRA, a music club at KU, held a delightful performance. In addition, prior to the main ceremony, the KU cheerleading club prepared a passionate cheer that the new students could participate in, and everyone cheered each other on together.